Apple Cider Vinegar Diet has long been a popular choice with health-conscious individuals. Using the included diet plan with a daily exercise program, Apple Cider Vinegar can support your healthy weight goals. Directions: For adults, take three (3) tablets daily, preferably with a meal. Other Ingredients: Vegetable Cellulose, Dicalcium Phosphate, Maltodextrin. Contains <2% of: Croscarmellose Sodium, Glycerin, Hypromellose, Silica, Sodium Carboxymethylcellulose, Trisodium Citrate, Vegetable Magnesium Stearate, Vegetable Stearic Acid. Apple Cider Vinegar Diet is rated 4.1 out of 5 by 10. Rated 5 out of 5 by Lorena77 from Great product! 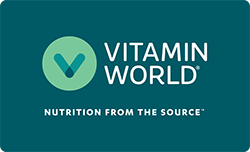 This is a good product and I like the Vitamin World brand. Rated 4 out of 5 by Patty28 from Product 1241 "Original Apple Cider Vinegar Diet" I can't review because I never used it...label said "SEE ENCLOSED DIET PLAN" but there was no enclosure!!!!!!!!!!!!! Rated 5 out of 5 by Micki801 from Bring this back! This was very effective. I really wish you would get this back in. Been waiting months! Rated 5 out of 5 by Saab from Awesome product I am so happy with this purchase, can't live without it. Rated 1 out of 5 by Genie from Apple cider vinegar tablets Pill too big to swallow. Please change for easier use. Can't determine value or quality do to not being able to use.